The filling of the pillow is made with kapok, the cover is cotton. The long-lasting cotton cover is weaved with beautiful Thai traditional motives. The pillow in the shape of triangle without carpet(mat,carpets,mats) is ideal as headrest or to lean, for example, to read or watch TV. 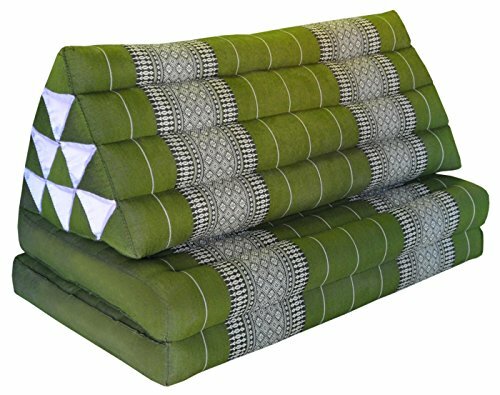 The triangular pillow with one, two or three sewn articulated flat pillows, is completed as pillow, pillow, sit down or to sleep. If you have any questions about this product by Wilai GmbH, contact us by completing and submitting the form below. If you are looking for a specif part number, please include it with your message.